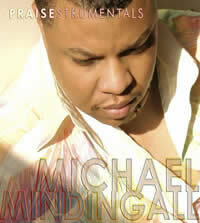 "Detroit Gospel.com On The Air"
April 24, 2006 - Native Detroiter Mike Mindingall has written songs for some of Gospel's biggest names including Fred Hammond, Dorinda Clark Cole, Chris Jones, Mark Hubbard and many others. His keyboard stylings can be heard on some of Gospel's most noted recordings including those of legends Thomas Whitfield and Aretha Franklin. During the Easter season, one of his songs, "He's Alive" is sung by choirs around the world. ...And now for something completely different! 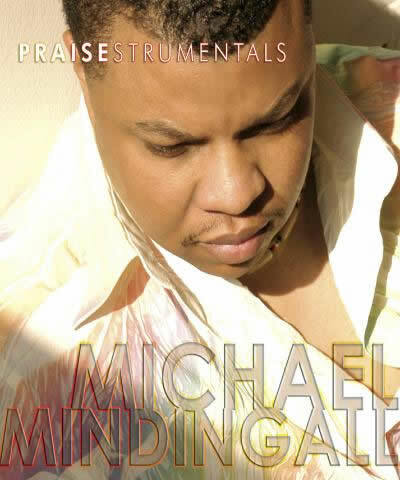 Three years in the making, Mindingall is releasing Praisestrumentals on Crystal Rose Records in association with The Mindingall Firm, LLC. Mindingall's studio is around the corner from the DetroitGospel.com office on the 12th floor of the Masonic Temple. Great gospel music can be heard coming from the studio daily. We caught up with MIke one afternoon to discuss the new project. Mindingall: First of all, they can expect good music because it took me three years to do this project because I just didn't want to put any type of songs together just to say I had a project. Each song is a personal testimony. You know, some things that I've been going through. Each song was hand picked. That's why it took so long for me to do. I wanted it to mean some things, touch some people's hearts. I've already got feedback already from people going to my website just listening to songs. I've got a song called "A Quiet Praise". One lady said she had some quiet time listening to my song as she just kept rewinding it and playing it. My aunt works for a law firm and she said her boss could hear her in the other room just listening to the project. A buddy of mine, I grew up with was just here from Florida. He lives in Orlando, and he is an engineer for Disney. As soon as he got it, he just started playing it. We went over his sister’s house and played it, and his sister called him yesterday to tell him that she could not stop thinking about that project. He used to live here and work with Ford. He was out with his buddies and played it, and he said they loved it. So I’m getting good feedback, and it let’s me know that the songs are really ministering to people. One of the biggest comments that people are making is that they didn’t know that gospel could sound like this; it's a trendsetter; it’s not your normal instrumental project. It’s fusion; a little Jamaican reggae; a little classical. It’s a genre of music that everyone can relate to. Whether you like smooth jazz - I got that. I have Randy Scott playing on the project. He’s a sax player that is well known here in the city. So there is something there for everybody. Mindingall: I'm trying to reach everybody that's why I put different genres of music on there so I can go to church and play praise and worship tunes, or go to a Gospel Fest, or a smooth jazz fest. I can do the same music, but it’s gospel. I want to reach everybody. That’s why I [incorporated] different genres of music so that it can do that. Mindingall: Definitely Thomas Whitfield, who, nationally gave me my exposure with my song, “I’m on the Battlefield,” which was on Douglas Miller's “Living on the Top” Project. This was my first nationally released project that I got some royalties. Herman Harris was another mentor of mine who really gave me some exposure in the industry, but it was being on the road with Whitfield that shaped and molded me in how to do it because he was “The Maestro.” Everybody knew him. Just to be playing with him was an honor. Search Engine & Site MapHaven't found what you're looking for here? There is a wealth of information on Detroit Gospel.com. CLICK HERE to view our Site Map or type a search request below and click on the "Google Search" button to search this site for a specific person or topic. Detroit Gospel.com and the Detroit Gospel logo are trademarks of FruitfulWorks, Inc.
Reproduction in any manner whatsoever without the express written permission of FruitfulWorks, Inc. is strictly forbidden. Website Designed and Hosted by FruitfulWorks, Inc.
please click here to visit our newest version.